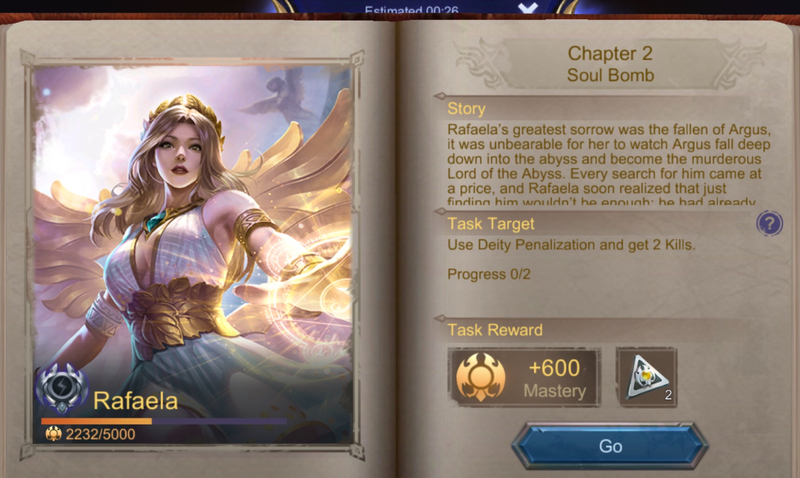 Another near impossible quest - Rafaella - General Discussion - Mobile Legends: Bang Bang - Powered by Discuz! Even if you try to time it, it’s purely luck not based on skill. Not to mention you have to suicide to make it happen. Enemy is low on, then hope either they kill you and die with soul bomb. or someone drops them too low and you die and they get killed with soul bomb. The quest is terrible as it doesn’t even accept assist. It has to be a killshot. It is very hard to complete i agree. Not only you have to die, but need to make sure enemy will have very low hp too. Some quest are so hard to complete. shocks, yes it's really hard.. is this the last mastery? Chapter 2 is last but one no? i think they reduced. i'm sure it was more than 2 before the rework. That quest is ridiculous.. maybe just do another hero first.. It's still possible actually but yes like you said.. it's purely luck. One times, I had a match with Rafaela in enemy team. There was a teamfight, we fought the enemy really tough and we did chain slain. And then, the flash thingy appeared and came to me while my hp was dying, booom! and I died! Lol. That's Rafaela. Well I just thought that was accident, bcs I didn't notice her coming, so it's still possible, right?